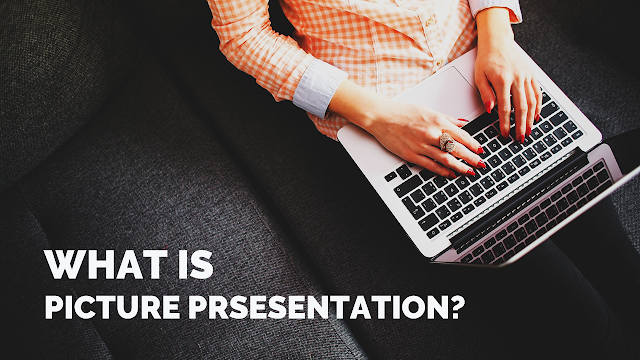 'All About Presentations' by Jazz Factory: What is Picture Presentation feature in PowerPoint? What is Picture Presentation feature in PowerPoint? PowerPoint has a new feature called 'PowerPoint Picture Presentation'. When you save your presentation as a picture presentation, PowerPoint converts all your slides into pictures. All the elements on a slide are converted into a single image. To reduce the size of your presentation. The file size will come down significantly. To protect your special fonts. If you have used special fonts, converting your presentation into a picture presentation will preserve everything perfectly. Animations. Slide transitions remain intact but all the animations on a slide go away. That is because all the elements on a slide are being clubbed together into one single image.